Fashion, jewellery, red carpet events and stunning gowns, what a hard life you lead! 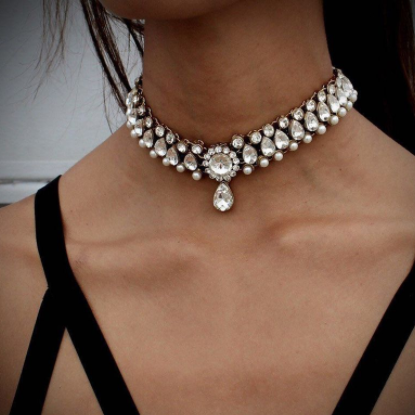 Add some jewels to your outfit with this simply charming choker. Comfortable and easy to wear, Ritchie will transform any outfit!